| CMS Mid Atlantic Funeral and Cemetery Resource Center. Choosing a funeral home can be the easiest part of making funeral arrangements, especially if you’ve already had experience with one or have been given a recommendation from somebody you trust. It can also be one of the toughest decisions to make in times of high stress and grief, as not knowing where to turn can really make things worse. However, like with any other service provider you may hire, funeral homes can vary greatly in price and in quality of service, and going with a trusted option won’t always ensure satisfaction. Fortunately, there are certain laws in place and rights you hold that can make the shopping process easier and allow you to better make arrangements as necessary. 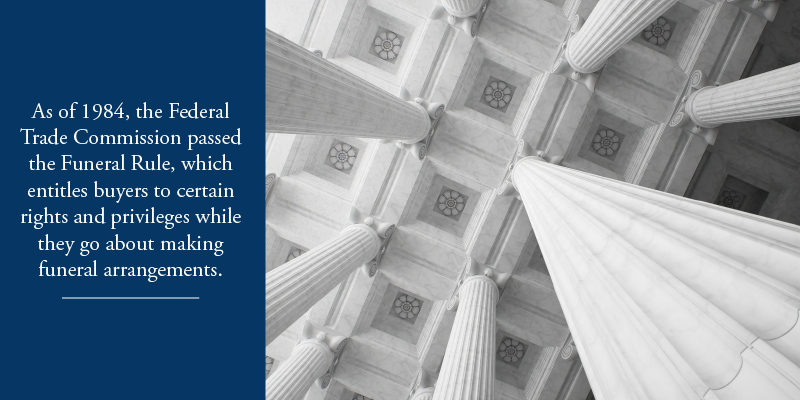 As of 1984, the Federal Trade Commission passed the Funeral Rule, which entitles buyers to certain rights and privileges while they go about making funeral arrangements. For instance, the Rule affirms your right to get price information over the telephone. This can make calling funeral homes to compare them and shop properly more productive and efficient than any other strategy, as you can get accurate measures of what to expect financially upfront if you just ask. Funeral Homes are required to provide a full written itemized price list after choices have been made but before you have to pay, so you can again receive full transparency toward what you’ll be purchasing. They cannot try to upsell you using bundles and packages, as you’re not required to accept any of them or purchase anything from funeral homes that you do not want. You also have the flexibility of choosing not to be embalmed if you prefer, as no state laws are in place that require you to do so. If you would like to purchase a casket or other alternative container separate from the funeral home, you can do so without worry, as homes are required to accommodate your request without any extra fees. 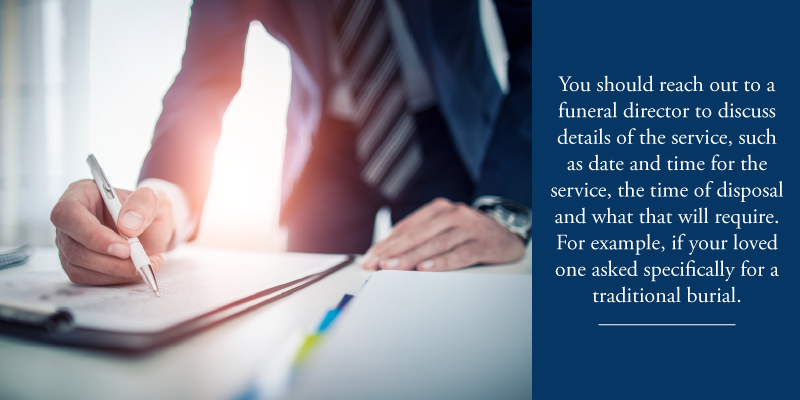 All in all, the Rule is in place to help make the process of planning a funeral with servicers as transparent, painless, and simple as possible. 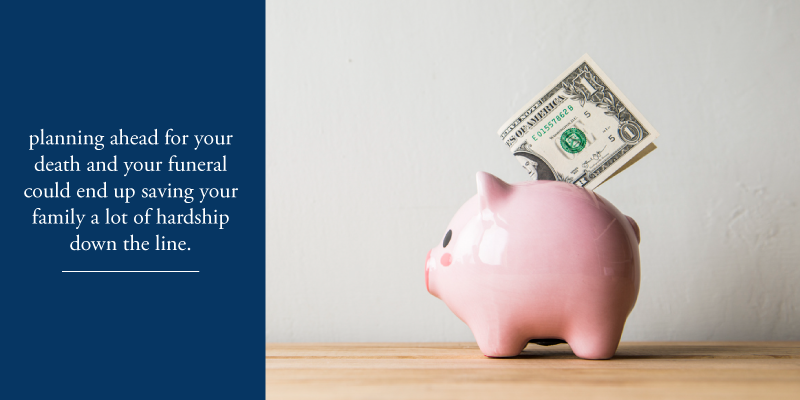 If you’re planning a funeral for a loved one or looking ahead toward your own, one of the very first steps should be agreeing on a budget with your family. 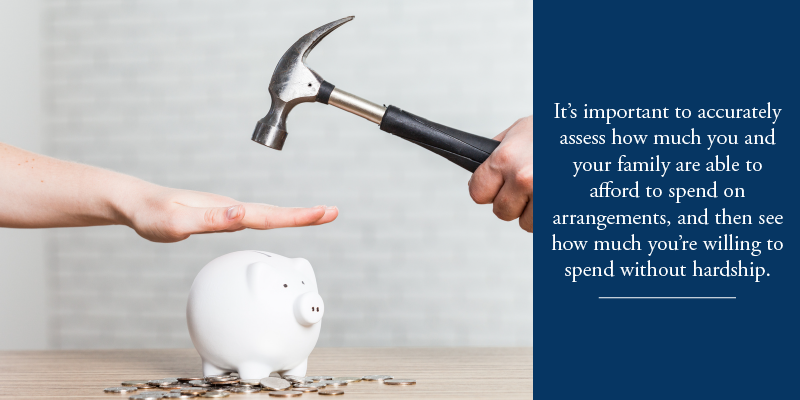 It’s important to accurately assess how much you and your family are able to afford to spend on arrangements, and then see how much you’re willing to spend without hardship. 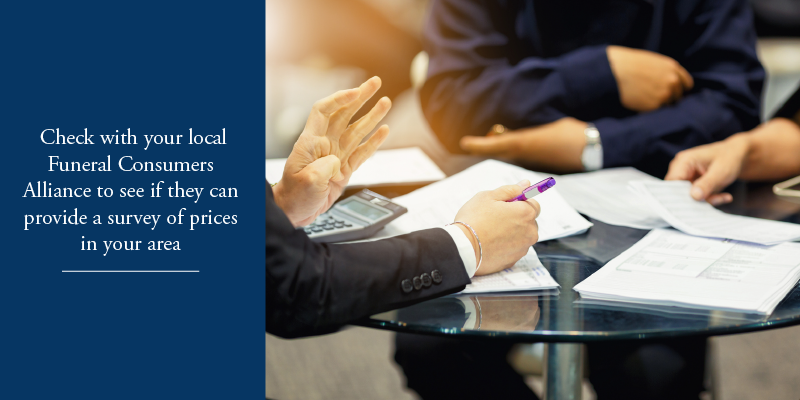 One of the most common mistakes made when planning funerals is accepting a local funeral home’s price as-is and subsequently scrambling to get the money together. Planning ahead with either prepaid arrangement plans, a delineated budget, or any other written instructions will help minimize the complications that can be involved with making funeral arrangements and reduce the stress for you and your family later. Part of coming to a reasonable conclusion on a budget is weighing your priorities in terms of these arrangements. Is your burial location important to you? If so, you’ll have to prioritize accounting for that specific wish in your plans, and that may come at a higher cost than the alternative. Do you have any specific cultural or religious requirements in your wishes? This could mean the difference between a traditional cemetery or a burial at a place of worship, which can have varying costs as well. With so many ways to personalize your funeral — and explicitly delineate that in your wishes — it’s critical to thoroughly understand one’s own preferences and priorities when it comes to making arrangements in context of what is affordable, realistic, and least emotionally taxing. Once you know the budget you have to work with and what parts of the arrangements you’ll be prioritizing as specific needs, you can treat shopping for a funeral home the same way you’d treat any other big and important purchase. Check with your local Funeral Consumers Alliance to see if they can provide a survey of prices in your area — you may find a big discrepancy in costs between two different funeral homes for the same services, so you can save yourself thousands of dollars just by keeping your options open. Visiting various funeral homes around you and getting quotes from them will be helpful, as you can get an accurate and fully itemized statement from each and compare options directly. 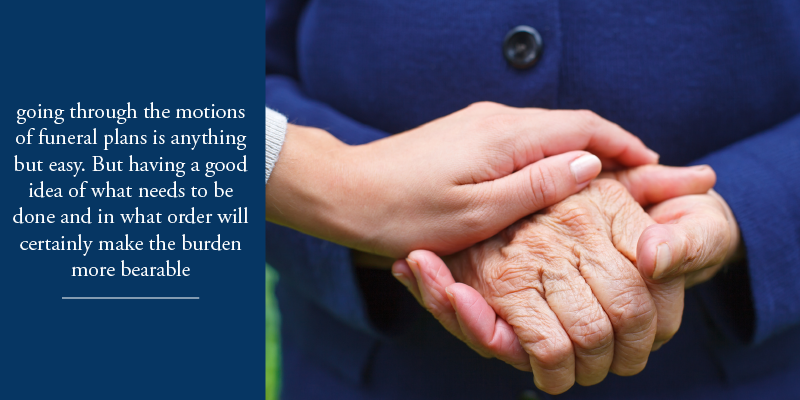 Once you’ve compared your options and weighed all considerations in the balance, you’ll be much better prepared to make an informed decision on funeral arrangements and save yourself a great deal of uncertainty, confusion, stress, and hopefully, money. Your or your loved one’s arrangements deserve the utmost attention to detail. Therefore, either planning ahead or assessing the situation when it occurs is the best way to ensure your funeral home choice is as fitting as possible. Writing an obituary can be one of the most challenging parts of making arrangements following the death of a loved one. It’s a sobering reminder of what will come to be accepted as simple fact by everyone else, and can be incredibly difficult to complete. While writing a good obituary doesn’t have to be impossible, there are certain reasons to consider why it may be wise to reach out to a professional in your situation. An obituary can easily become the most important thing you never thought you’d have to do. When you’re entrusted with the responsibility of writing a person’s obituary, it becomes your duty to put an entire person’s life into words as best as you can. Something that always seemed so simple when you read them on your own suddenly becomes a very real, very formidable task in front of you. If that kind of pressure inhibits your ability to write a solid obituary, that’s okay! That’s exactly why professional obituary writers exist. They have created a profession out of telling people’s stories after they’ve passed, and have figured out the exact way to tell their stories most effectively no matter who it is. Writers have a way with words, by trade; in case you don’t trust yourself to do the most effective job, there exist people who can completely take that responsibility off your hands and make it a stress-free check on your to-do list. It’s also easy to forget how many mistakes you can make when writing even a short piece of text. Professional writers have developed a system for themselves to ensure that they over-deliver without over-promising, and part of that is their system to check over their writing. Their ability to gloss over, revise, and edit sentences into concise passages is something they have honed over time. In short, to ensure that this person’s obituary is written neatly, cleanly, and effectively, you’re going to want to hire a professional. One of the most difficult parts of writing an obituary is choosing what to and what not to include as part of this person’s public post-life story. 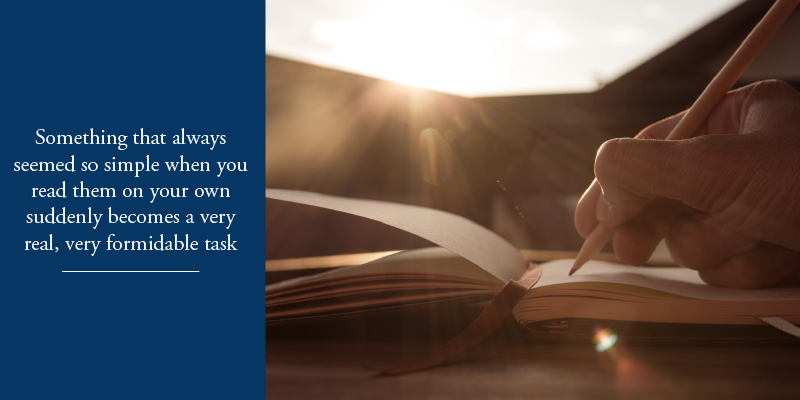 It’s also easy to become overwhelmed with the sheer volume of things you may want to write about, as it’s hard to let go of details and memories that you hold dear. Hiring a professional obituary writer is letting someone else separate from the situation, into this person’s life to provide their seasoned insight. They can easily pinpoint details within what you tell them that can make a positive impact on the greatest amount of people, and really hone in on what needs to be said when alerting others about your loved one’s passing That way, the message you want to tell reaches readers as effectively as possible. You can also hire a professional only to edit the obituary you’ve already written for your loved one. By doing so, you’re applying the same unbiased opinion to the equation and allowing for the best story to come through. The newspaper is a dying cultural icon. That’s an unfortunate truth, but obituaries don’t have to die with them. Death notices from funeral homes tend to be formulaic and forced, as news-editors have to run them within their own print confines. Stories are lost, and people are forgotten as quickly as they leave us. Fortunately, with online journalism allowing for plenty of print space from various publications, it is easier than ever to submit and run obituaries. The days of the death notice — and subsequent generic obituary — may be behind us. This means more space for us to allow our professional writers to run free and include all of the details that help us celebrate the lives of those who have left us. Soon, it may become commonplace to have an obituary written for you as death notices become less and less common. Funeral costs are serious business, and a traditional burial with all the accompanying costs can run into the tens of thousands of dollars in expenses. If you’re finding yourself preparing for post-death arrangements, it would make sense to set aside a budget for hiring a professional obituary writer to handle this part of the process. If you’d like to be sure everything will be done exactly right, who you surround yourself with and who you delegate tasks to will determine the results. 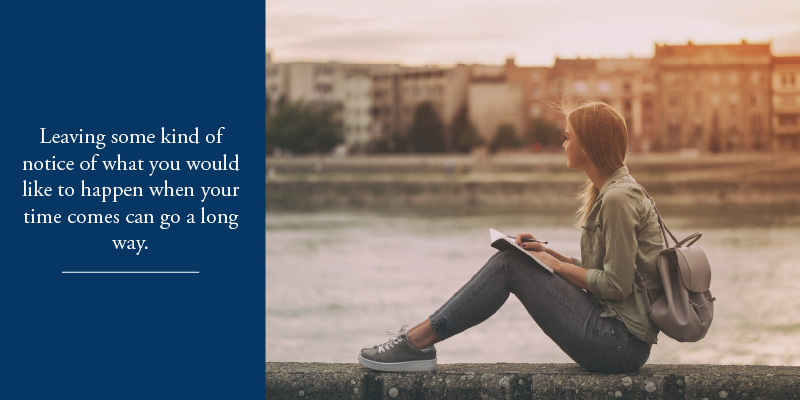 Investing in a professional’s abilities to handle the writing is an easy way to alleviate a lot of stress that comes with post-death planning so that you can have peace of mind when tackling the rest. It’s true that no one likes to contemplate their own mortality, but planning ahead has clear advantages. The fact is, after you pass, someone close to you will be responsible for overseeing your funeral arrangements and the distribution of your belongings. Planning your estate distribution ahead of time is a very simple way to alleviate some of the stress that will fall on the person responsible to administer these arrangements. Planning ahead will also ensure that your belongings are transferred over to the right hands and that everything reaches its designated place. 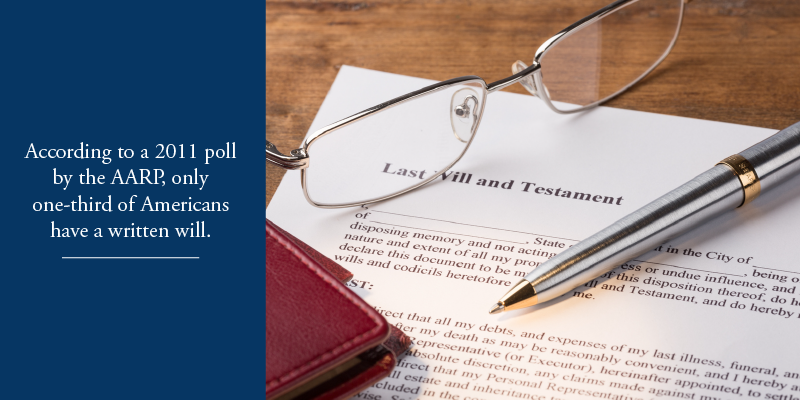 According to a 2011 poll by the AARP, only one-third of Americans have a written will. That means that the vast majority of people do little to nothing about their estate planning, which leaves the planning up to chance or to someone else’s discretion. It is important for us to understand that the purpose of a will is to eliminate any questions or confusion relating to the executor’s handling of your assets at the time of your passing, including who should be the recipient of those assets. However, should you choose to forego preparing a will, the responsibility of the executor is passed on to the state, which then decides the distribution of your estate without regard to your preferences, since they are not explicitly known. If you have young children, a will is the best way to properly delegate who will be their legal guardian in the event of your passing. With the assistance of an attorney specializing in wills and estates, you will confirm whom their legal guardian will be and may determine any additional arrangements for the care of your children. It is up to you how detailed you wish to be when writing these types of arrangements into your will, but being specific can greatly assist the relationship between your children and their designated guardian. It helps to think of a will as your last method of communication with the mortal world, and therefore your last opportunity to ensure that things are executed the way you intended. Begin by making a record of all of your assets from top to bottom — this includes investment or investment accounts, retirement and savings accounts, insurance policies, real estate or business interests, and perhaps collectible or sentimental items you own. After listing each of your assets, you will need to determine whom you would like to receive these assets. 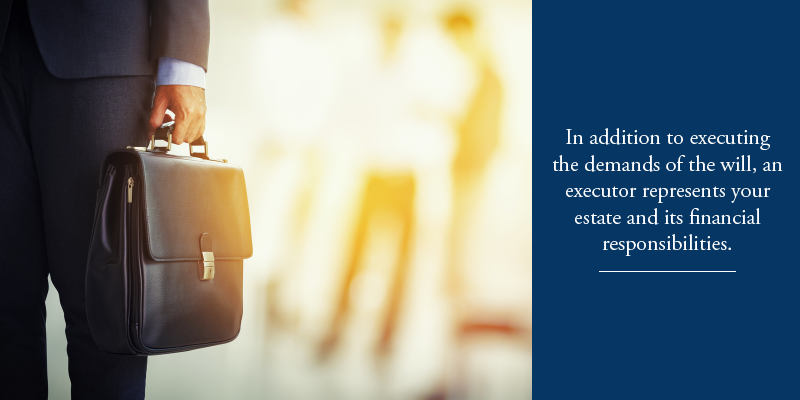 After you make this determination, you will want to designate the executor of your will; this person will oversee the distribution of your assets. Once you are ready to begin drafting your will, you may create this legal documentation through online platforms or by hiring an attorney to prepare it for you. Attorneys usually charge anywhere from $500 to $2000 to create a full estate plan, but they are there to walk you through the entire planning process and make it as painless as possible. Choosing an executor can be a very difficult process, but it’s a necessary step to ensure that your assets go to their rightful owners in a proper and timely manner. In addition to executing the demands of the will, an executor represents your estate and its financial responsibilities. Your executor can be a friend, a relative, or you may hire a professional or institution to be the executor of your will. 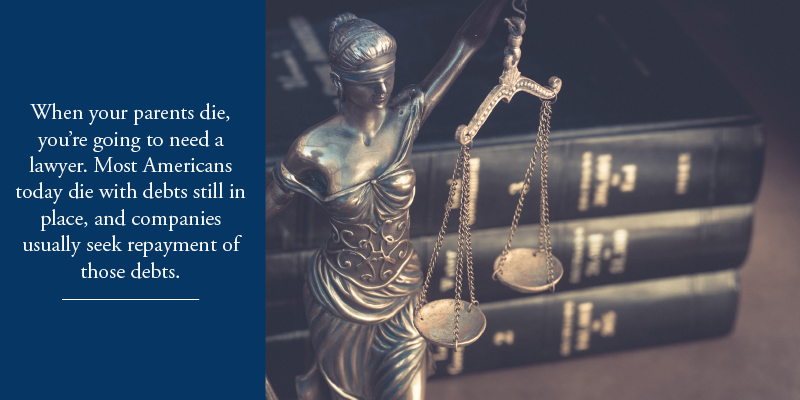 Regardless of whom you choose, be sure that you can trust them and that they are willing to take on the responsibilities associated with your estate. If you choose a professional, you will typically agree to a rate or yearly fee that will be satisfied through your estate. You should also assign a power of attorney to your estate. The power of attorney document allows you to appoint a person, or an organization, to manage your affairs should you become unable to do so. This designates a person who will be responsible for representing your estate financially and handling your bills, investments, and other assets under certain stipulations. This person should be someone you trust to be able to handle your financials in the event you become too ill to do so yourself. You will also want to choose a health care power of attorney, which is a document in which you designate someone to be your representative or agent, in the event you are unable to make or communicate decisions about all aspects of your health care. All power of attorney agents will be required to act in accordance to your wishes and within the operating boundaries set by your will or other end-of-life documents. 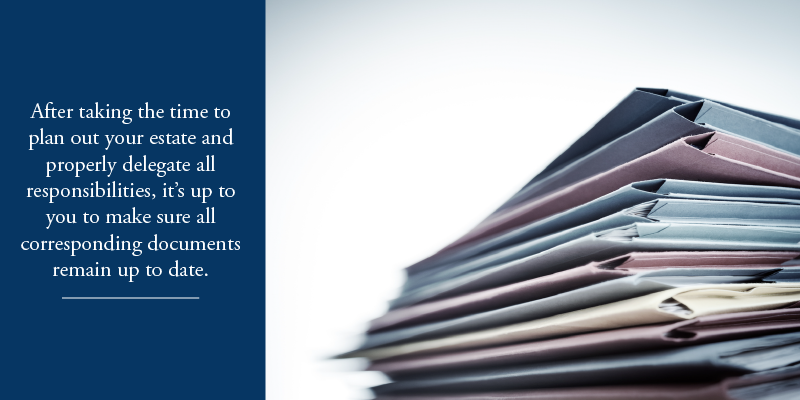 After taking the time to plan out your estate and properly delegate all responsibilities, it is up to you to make sure all corresponding documents remain current. Be sure to revisit and update your will on a regular basis, be that yearly or after any major life events. This way, you can ensure that any ongoing relationships and dynamic shifts are properly addressed in the way you assign your assets. To avoid any disagreements or confusion, you may wish to communicate with your heirs accordingly when your will is updated or revised. That way, it is clear how you assets will be distributed. Planning your estate may seem to be a fairly arduous process, but it is the only way to ensure your assets are distributed as you intended, and with little to no anxiety for family members and heirs. A will allows you to have all assets (earned, inherited and otherwise) passed down in the way you see fit. The advantages of estate planning are clear, so it is recommended you put in the time to plan your estate now to ensure your preferences are met. Even if you don’t know too much about funerals, most people know at least one thing: a death in the family can be very costly. Traditional burials have always required a number of different services to prepare the body for burial, which can end up costing families thousands of dollars. While cost effective alternatives to traditional burial are available, such as cremation, there is no doubt that you or your loved ones will end up with a significant financial responsibility following a death. Fortunately, there are a few ways you can start thinking about your own burial. Some decisions you can make ahead of time, in order to lessen the responsibility both emotionally and financially. As with most things, there are a lot of variables and possibilities that go into planning a funeral that can often be overlooked in the heat of the moment. Thinking about these decisions now, and laying some of the groundwork, is a big step in the right direction. Your funeral doesn’t have to cost $10,000 — it doesn’t even have to cost $5,000, just so long as you understand the choices you have that influence those costs. 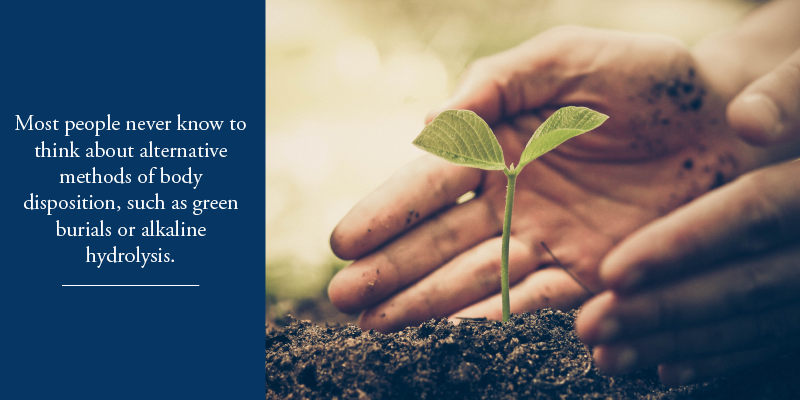 Most people never know to think about alternative methods of body disposition, such as green burials or alkaline hydrolysis. Both options can end up saving you thousands of dollars compared with traditional burials, and require a lot less hassle on your part. Alkaline Hydrolysis, in particular, allows for more flexibility in how you or your loved ones choose to handle the body. The body can be contained as ashes or spread at a permissible location of your choice. Planning ahead not only helps with burial costs and peace of mind, but funeral homes and other funeral professionals actually prefer it when you make decisions before the time of need and will often extend financial incentives to assist with planning ahead. For example, many cemeteries and funeral homes will offer discounts on their services or products if you purchase them as part of a prepaid funeral arrangement. Funeral and Cemetery professionals exist to walk you through the process of thinking about your funeral, be it at the beginning or near the end of your life, and their operations often consist of staff with decades of combined experience in funeral and cemetery services. A good funeral home or cemetery has dedicated professionals who are more than happy to walk you through the process of planning for a funeral and to bring you peace of mind. Whether you plan ahead or are arranging at the time of need, funeral costs can feel overwhelming. 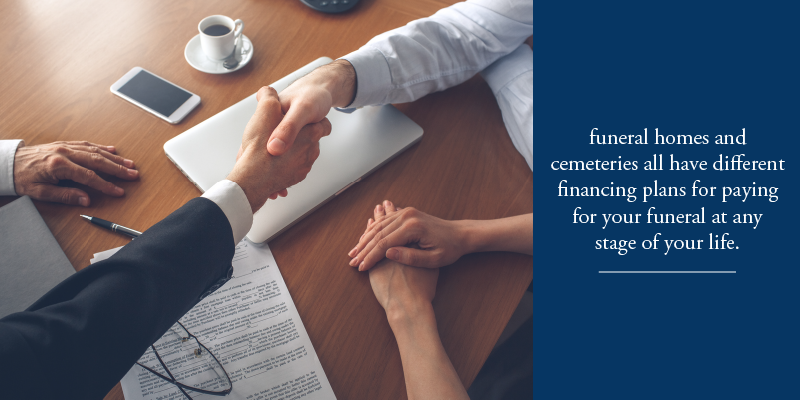 The good news is, funeral homes and cemeteries have different financing plans that will assist with payment at any stage of your life. Additionally, if you start working through the details of a prepaid arrangement early, the prices for your services and products will be locked in as they already agreed upon whether there is financing or everything is purchased up front. Some funeral homes will allow you to plan for your funeral with investment plans, and some will allow you to buy insurance with them, where they will cover all expenses related to your funeral at a fixed fee. Some allow you to buy insurance with them, where they’ll cover all expenses related to your funeral at a fixed fee. Life insurance plans may also cover some of these costs. There are plenty of ways to start laying down the framework and financial structure now, so that eventually you will have covered the cost of your death arrangements. Of course, no amount of prepaid arranging or price-locking can beat just having money prepared for when the time comes. If you’re not someone looking to trust anyone else with that responsibility, or you’d simply rather have it come from you, saving ahead for your own death arrangements is the way to go. 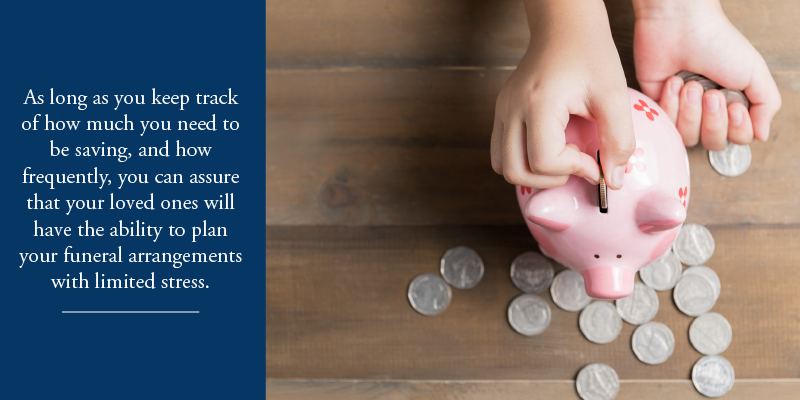 While you may lose the security of knowing that you’ll definitely have enough when the time comes, there are ways you can look ahead and project how much you may need to accumulate. Plus, the saving is on your terms — you decide when to spend and how much to spend. As long as you keep track of how much you need to be saving, and how frequently, you can assure that your loved ones will have the ability to plan your funeral arrangements with limited stress. Planning ahead and determining how you would like to pay for your funeral arrangements is the only way to make sure you’re paying what you are comfortable with and can afford. It may not be easy to think about, but it’s never too early to start planning for your funeral. Though it may seem far off, the truth is that we will all have to start thinking about the ends of our lives eventually. With funerals and other death planning, it’s usually beneficial to start planning sooner rather than later. The security and peace-of-mind that a plan can bring is palpable. Many funeral homes talk to clients from any age about planning for your funeral in a way that can make you feel much more prepared for when the time comes. Often times, people die without leaving any information for their family to use when moving forward. That put the deceased’s families and loved ones in a tough position, as it becomes their responsibility to make decisions for funeral plans. Leaving some kind of notice of what you would like to happen when your time comes can go a long way. Some people like to address everything they want in a full document and others verbally, but having some kind of record of your final wishes is crucial in helping your family with final arrangements. It’s important to distinctly write out your funeral wishes separate from your final wishes, too. That way, you can include all the detail you’d like about how you’d like to be buried, what kind of memorializing you’d like (if any), whether you’d like to be cremated or buried in a more traditional sense, and all kinds of other minute details like what food to serve or what music to play at the funeral. More likely than not, your family will have already begun the process of planning all of this before they can find your Last Will and Testament, so outlining your funeral desires separately ensures that your loved ones can fulfill your wishes. One of the biggest surprises that comes with the loss of a loved one is how expensive it can get…and quickly. As with most things, planning ahead for your death and your funeral could end up saving your family a lot of hardship down the line. Many funeral homes and cemeteries are open to discussing funeral plans at any age, and funeral homes in particular can outline the services and charges that may be required for whatever types of plans you may have. For a traditional burial, you might have to go through 4 or 5 different services from the funeral home alone, altogether costing you tens of thousands of dollars. The greatest value in pre-planning a funeral is the peace of mind and security in knowing that the decisions were made in advance, together. More often than not, they’ll also offer you these services up to half the price, so it’s worth thinking about it early. Pre-paid funeral plans also allow you the liberty of having everything arranged just how you’d like it. When you purchase the plan, your local funeral director is appointed to take care of your requirements and ensure that your family receives personal service according to your wishes. You can be as detailed as you’d like, from cremation site to type of casket and transport. This takes most of the weight off of your family’s shoulders, and allows them the time they need to plan other things and comfort one another. Many of the professionals that you’ll be contacting to plan ahead will be eager to help you plan properly so that you can have peace-of-mind knowing that everything is perfectly in order. They offer these services and pre-paid plans ahead of time so that you can work together to make sure all of your wishes are recorded. In most states, funeral homes are all for profit businesses with respect to cemeteries, and can operate as either for profit or not-for-profit businesses. If you’d like for your funeral to have certain stipulations separate from norm or tradition, they’re also there to make sure that all of your wishes are met. Taking the time today to ensure that all of your wishes are recorded and your plans are in place, can save your family and loved ones countless trouble some time from now. The less time they spend stressed over details of the arrangements means more time they can spend together reminiscing and celebrating your life. It may seem early, but anytime is appropriate to start thinking ahead and planning for when your time comes. It’s a very unfortunate truth, but someday, your parents will die. Everybody has to go through it at some point, and everybody will undoubtedly experience that process differently. It can feel incredibly overwhelming to have to make so many decisions so quickly, especially the ones that can be costly. You might own property now, or be responsible for more people than you were before. 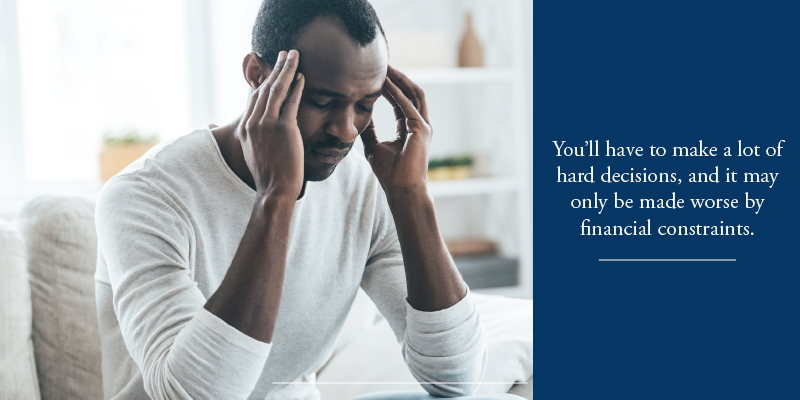 However it happens, and however everyone goes through it, there are ways to be more prepared for some of the difficult choices you may face when it does. One of the first things you’ll come to realize is that dying is really expensive, and funerals are a big part of the cost. 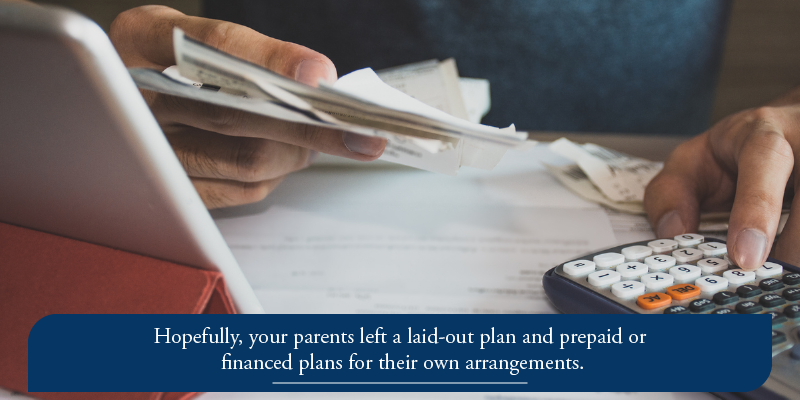 Hopefully, your parents left a laid-out plan and prepaid or financed plans for their own arrangements. If not, you might be left making decisions ranging from what food to serve to what kind of coffin you’ll be purchasing. Contact your local funeral home or cemetery to get advice on where to go next and what you have to do. They’ll walk you through the process of picking out a vault or cemetery plot if you’re looking to host a traditional burial, or looking into cremation centers or other disposal options. They also usually have financing options for paying for some of the services you may require, and most cemeteries are not-for-profit businesses. Social media can also make this part of grieving really weird, and it’ll be up to you to figure out how to best handle that. You’ll have to go with your best guess of your parents’ wishes when planning the details like who to invite. When someone dies, some of their assets are automatically transferred to their heir. Check to see if there is any property, either physical or financial, that you’re entitled to inherit in the event of their death. You should also check to see if your parents had any life insurance policies and set those claims into motion. These things may ease the stress of affording a proper funeral and make the whole process a bit easier. You’ll have to make a lot of hard decisions, and it may only be made worse by financial constraints. If you know your parents would have wanted you to be able to handle this comfortably, there are a lot of ways that you can cut costs. Cremation and alkaline hydrolysis are cheaper alternatives to traditional burials, and allow you to keep the remnants of the bodies or dispose of them however you’d like. Cremation reduces the body to bone fragment and ash to be stored in an urn or similar container; you can store those personally however you’d like or have them spread out someplace like the ocean. Alkaline hydrolysis isn’t available in every state yet, but is a similar process and allows for similar disposition. If you’d still like for the bodies to be buried, you can have a natural burial. These can range anywhere from purchasing a specific plot of land and burying them there to planting trees or other plants in memoriam. Some people choose to be buried on their property or nearby, and that can end up even less expensive. You can also choose to have the bodies wrapped or contained in a natural biodegradable vault, which allows for full decomposition. Choosing this route allows for peace-of-mind knowing that the body can give back to nature what gave them so much. When your parents die, you’re going to need a lawyer. Most Americans today die with debts still in place, and companies usually seek repayment of those debts. Sometimes, companies will overstep their boundaries, and having a lawyer sort through all of their claims and actually figure out what is owed can be extremely helpful. Sometimes, debt collectors will be trying to collect the debt because they spent the anticipated repayment already and will use guilt or scare tactics to force you into paying back a debt that can be handled otherwise. Lawyers can help you sort through these claims and make sure you’re not paying more than what you actually owe. They can also help you more accurately find out what may have been left in your name, as parents sometimes put their children’s names on property or assets to ensure they’re passed down properly. When it happens, the death of your parents can bring their entire world onto your shoulders in a very short amount of time. That’s why it’s easier to calmly approach each decision with a level head and know all of your options. It may also be good to think about it ahead of time and start to plan for when that time comes, either through funeral plans or other preparations. What is a Death Checklist? 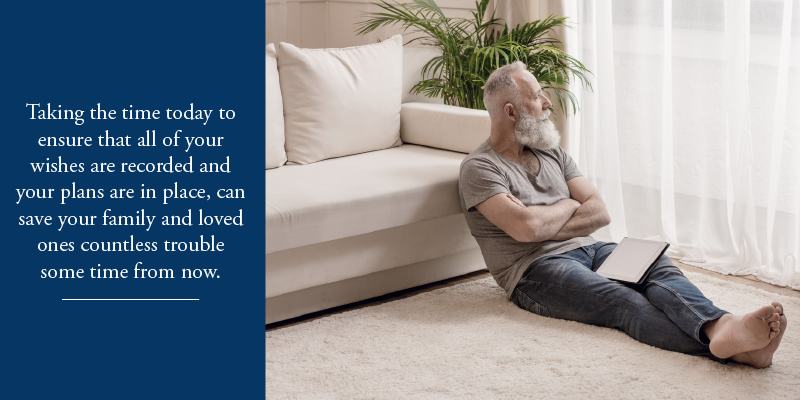 It’s no secret that the process of coping with the death of a loved one and subsequently being handed the responsibility of “closing out” their life can be a lot to handle at once. Arrangements and accommodations have to be made. People have to be contacted and many decisions have to be made. It will make your life a lot easier if you outline exactly what it is you might have to do for someone close to you who has passed on — a death checklist, of sorts. So, here’s what you can expect to do should someone’s death affect you or your family. Following the person’s passing, there are certain tasks in the post-death process that are extremely time-sensitive and should be treated as such. First, you should find out if the person wanted his/her organs to be donated. 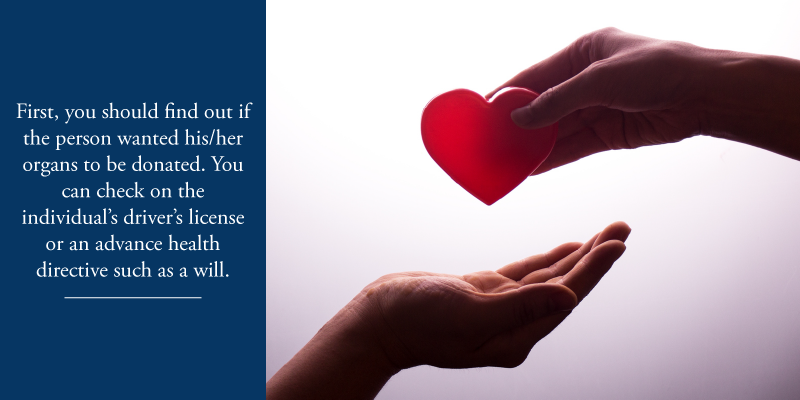 You can check on the individual’s driver’s license or an advance health directive such as a will. There’s no cost associated with it, but the organs have to be harvested very quickly to be suitable. The same goes for bequeathal; if the person asked for his/her body to be donated to a medical school or facility, it’ll have to be arranged quickly. If those aren’t primary concerns, you should still contact immediate family as soon as you can. That can be an opportunity to comfort one another, and to discuss details of the funeral. For example, someone close to the deceased may know something about his/her last wishes that you don’t, so you can act accordingly. You can start the process of planning together, going over your loved one’s wishes, the budget, and what the family needs. Depending on how much the person prepared in advance, you may also be obligated to choose a funeral home. If the deceased didn’t delineate one, do some research on others’ personal experiences with certain funeral homes before choosing one. 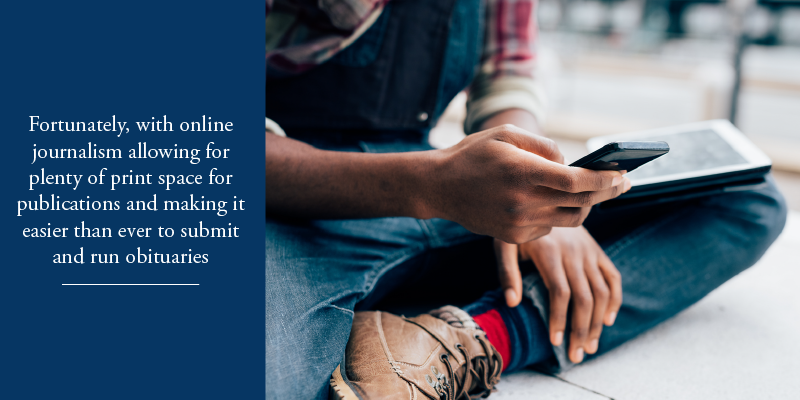 Make sure to secure any property such as home or vehicle, and notify the post office of his/her passing so they can forward mail to you and notify you of any subscriptions or other accounts that may need to be cancelled. Once you’ve handled the more time-sensitive aspects of the funeral, it’s time to actually start planning the service. First, you should reach out to a funeral director to discuss details of the service, such as date and time for the service, the time of disposal and what that will require. For example, if your loved one asked specifically for a traditional burial, you’ll need to start making plans for a casket, embalming, and more. If your loved was a veteran, you may need to inquire about special privileges offered to deceased veterans or servicepeople. These can range from providing assistance to help cover funeral costs all the way to providing fully-financed and planned arrangements. Next, call the designated cemetery to arrange the burial site and for information regarding a headstone. Once the service and burial plans have been arranged, contact family and friends to ensure they have the appropriate information to pay respects to your loved one’s life. Remember to keep a record of “well-wishers” or anyone in particular who offers special condolences, donations, flowers, thoughts, or anything else noteworthy so you can acknowledge them at a later time. 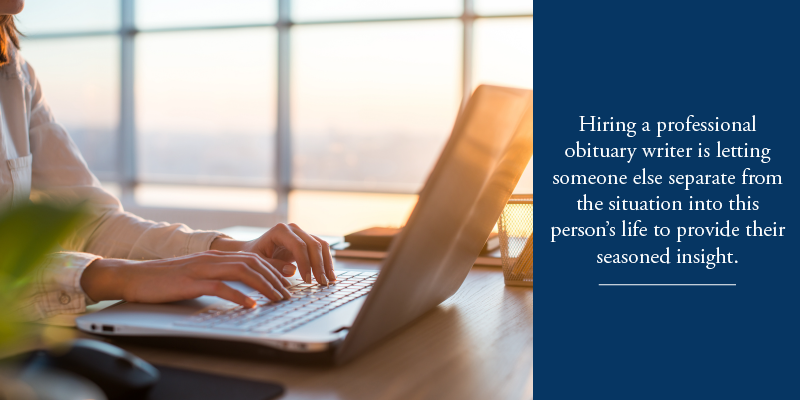 You might also want to write an obituary yourself instead of having the funeral home take care of it — if so, be sure to check rates in local newspapers and other submission guidelines. After the funeral service has taken place, you’ll still have a few things to handle before the post-death process is complete. You’ll need to order at least a couple of copies of the death certificate so you can have them on-hand for closing accounts. Contact your local social security office and the representative will assist you with what is required. If your loved one was receiving Social Security benefits, you’ll need to contact them discontinue benefits as soon as possible or else face a fairly complicated repayment system. Also call medicare/medicaid and employment benefits. Conversely, if the deceased has a surviving spouse and/or dependents, they may be eligible for personal benefit. If your loved one had a life insurance plan, then you’ll need to file a claim, which requires the death certificate. You’ll need to cancel any health insurance, car insurance, or other insurance plans he/she may have had in place. In the same vein, close out all of their finances at once, making sure to get an accurate measure of all of their assets, properties and such so that they can be disbursed either according to their will or otherwise. Notify the mortgage company, credit reporting agencies and banks of the deceased. Close out their credit card accounts and cancel their memberships and subscriptions. You should also close out email addresses, social media accounts, and anything similar to minimize the threat of identity theft. Contact the election board to ensure that they know your loved one is deceased. Finally, contact a tax preparer to file a claim for their returns and estate returns for the year. Again, going through the motions of funeral plans is anything but easy. But having a good idea of what needs to be done, and in what order, will certainly make the burden more bearable, and hopefully allow you and your family the peace of mind you deserve following the loss of a loved one.